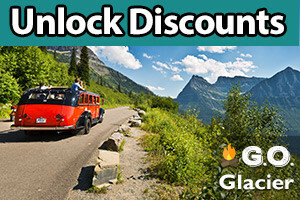 Rest your hiking boots and experience Glacier National Park’s breathtaking scenery from aboard a Red Jammer Bus, a vintage touring vehicle as iconic as any natural Glacier Park feature. Prices from $34-$100 per person. 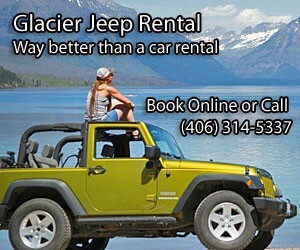 With several departure/touring destinations throughout the park, choose between East Glacier, West Glacier, and more. Red Jammer Bus tours generally operate between late May and late September. Rest your weary feet, have your camera ready, and enjoy the guided tour provided by your driver. 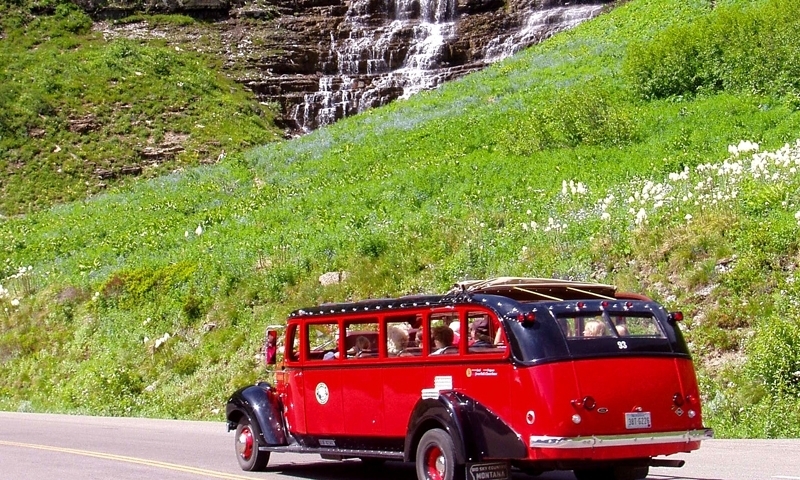 Named for the sound their original standard transmissions made as drivers “jammed” the gears over mountain passes, Glacier Park’s Red Jammer Buses are an unmistakable park feature, with their red and black exterior and canvas tops clearly visible on The Going To The Sun Road and in most drivable park areas. 25 feet in length, these classic sedans hold 17 passengers as their drivers take you on a guided ride amidst the majestic landscapes. 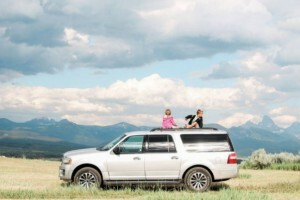 With several touring routes throughout Glacier, visitors have their choice of select journeys and departure destinations, broken down into areas, including: East Glacier, Northeast Glacier, West Glacier, Waterton (Canada), and more. Read trip descriptions here. Red Jammer Bus tours operate from late May through late September, depending upon the area. Choose between half day and full day tours. Check listings for individual departures. Prices from $34-$100 for adults, depending on the tour. Gratuity not included. Don’t forget to tip your driver! Reservations required; make them at least one day in advance. Park Pass (for exit/re-entry into the park). Passport (if traveling into the Waterton area). A jacket for cool mountain passes. Although roomy, Red Jammer Buses were not designed to accommodate luggage.